"This has a lot more implication than what we initially thought," said Yang Chai, a lead researcher on the study at the Herman Ostrow School of Dentistry of USC. "We can take advantage of these stem cells not only to repair a birth defect, but to provide facial regeneration for veterans or other people who have suffered traumatic injury." Chai predicted such treatment could be available to patients within the next five to 10 years, providing it shows promise in clinical trials with human patients. "It is a very minimal procedure to just cut off a strip of bone instead of cutting the entire calvaria [skull cap]," Chai said. A stem cell treatment "will truly restore the normal anatomy, which will then be able to respond to the continuous brain growth and the patient can live a normal life." The team's findings also have shifted the scientific perspective on bone disease, according to Hu Zhao, who conducted most of the study's tests on mice. "Before our findings, people just assumed the bones all around the body are the same," Zhao said. "We are now showing that they are all totally different, that they have a different source of stem cells and a different healing mechanism." In their study on mice, the team tracked Gli1+ stem cells that appear within the tissues that connect craniofacial bones. The researchers found that a shortage of Gli1+ stem cells hardened the skull and fused the sutures, causing "craniosynostosis," a birth defect that can hinder brain development. The researchers also tested whether Gli1+ stem cells serve another purpose by transplanting them into injured mice. Within weeks, researchers noticed that the Gli1+ stem cells were migrating to repair injured areas of the skull. Chai said the discovery that Gli1+ stem cells regenerate means that doctors will be able to help people who have suffered disfiguring facial injuries and infants diagnosed with craniosynostosis through biological means instead of multiple, high-risk surgeries. Until now, the surgeons had unknowingly destroyed the regenerative stem cells when operating on craniosynostosis patients. 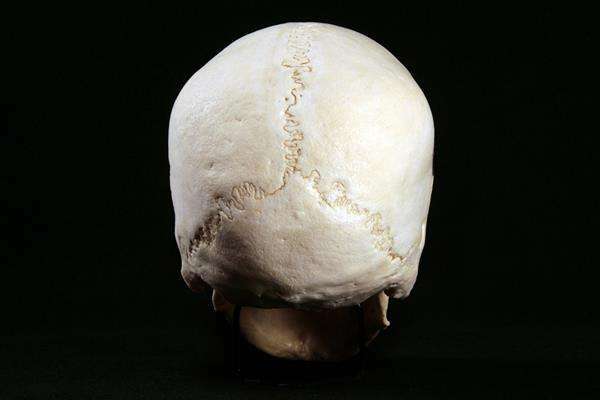 During a typical surgery, doctors break the skull into multiple pieces, staple them together and then discard tissues as waste. Zhao said the procedure, intended to aid brain growth, actually interferes with healing because the Gli1+ stem cells are lost. Chai said a biological approach—transplanting Gli1+ stem cells into targeted areas—could give infants with craniosynostosis the flexibility that they need for their brains to grow normally. For other patients who have suffered head trauma or facial disfigurement, the Gli+1 stem cells could repair fractured or injured areas. Researchers plan to conduct additional experiments before the treatment is tested in clinical trials with patients. "One of our ideas is that we could probably use those healthy sutures and the healthy pieces from them and transplant them on the injured sides," Zhao said.